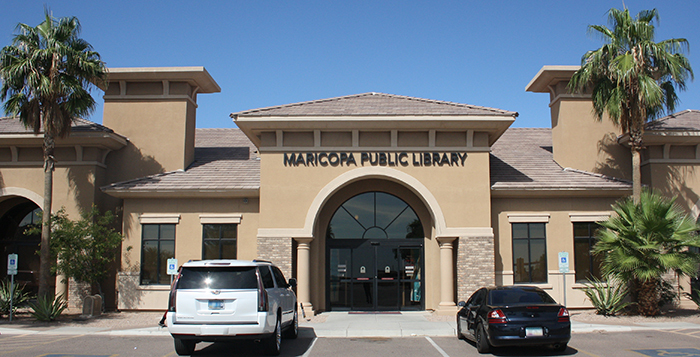 The Maricopa Public Library will be closed April 17 to 21 to upgrade their check out system. The library will reopen on Monday, April 22. He said that if someone forgets to check out an item, the library will still know that it has left the building. The library will also know if an unchecked item happens to return to the building. He said it will take every bit of the four days the library will be closed to tag each item. “We probably will come close. We should get the lion’s share of it completed,” he said. The library has a total of 16 to 17 full and part time employees who will be working on the project. The new system will allow people to check in and out multiple items in a stack right away instead of scanning each one at a time. Stack of 10-12 items can be scanned in a second when they are laid on an electronic mat.